Overview: Customers are using DECK DecisionWare to pull together all data from their previously disconnected IT system to provide not only a dashboard representing the entire data ecosystem in the company, but also a central location for data warehousing, analytics, workflow automation and reporting. The next step is for the data science team to use this collected data and software infrastructure to run deeper analysis. These customers are finding a large ROI on efficiency in what DECK DecisionWare provides. DECK DecisionWare has facilities that allow your data science team to work in one of 4 different scripting languages to access the data that is now connected! 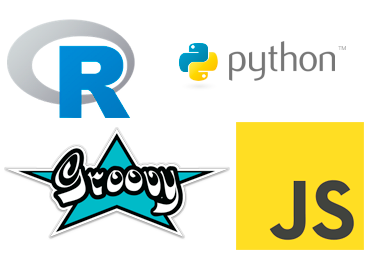 We find that most data scientists these days work in the R programming language. There are reasons data scientists use the other languages, and they are now available and ready for use in DECK DecisionWare! The trend is clear: companies are pushing their data scientists to extract more intelligence from internal data. Data scientists are either internal employees or third party service providers – either way, we enjoy working with these types of folks as the conversations are always fascinating! If you’re looking for a strong third party data science team in Canada, one team we’ve worked with and can recommend is High Level Analytics!